Poker pro Alec Torelli also rumored to be in on the action. That’s $260k sitting on the drink tray. Earlier this week, a photo was posted on the Two Plus Two forums of the Super High-Stakes Macau Cash Games where it was speculated that roughly $20 million dollars, plus a few $650k vouchers, were sitting on the table. 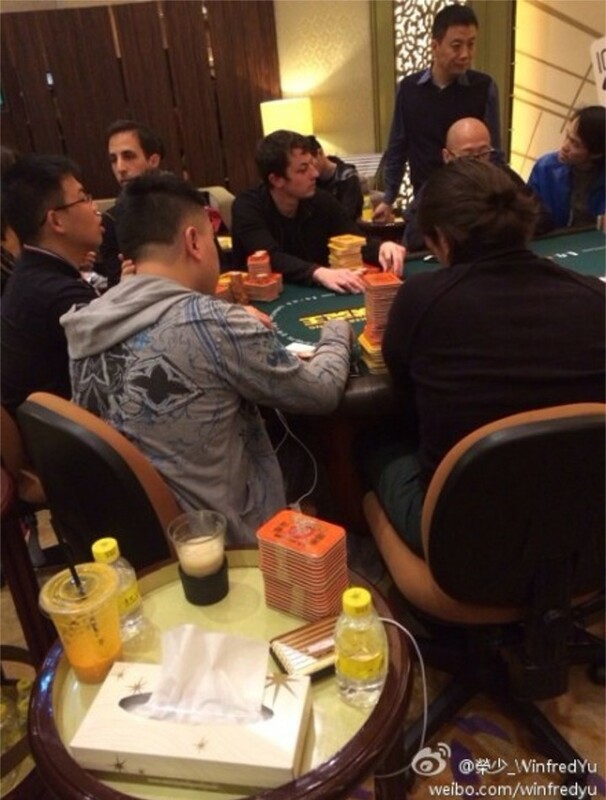 Now there’s this photo from Poker King Club Macau Business Director Winfred Yu where it clearly shows former Full Tilt Professional, and confirmed sicko, Tom “Durrrr” Dwan sitting in the game with roughly a couple million dollars in front of him. Each one of those Yellow placards is supposed to be worth HK$500,000 or $65k and even a rough eyeballing of those shows he has about 25 in front of him.